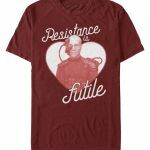 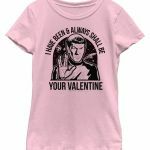 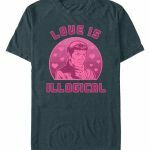 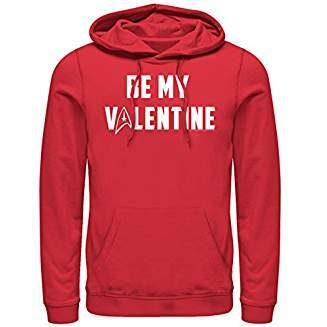 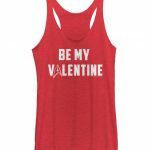 It’s a bit too late to order these Star Trek-themed Valentine shirts from Fifth Sun for Valentines Day this year, but these shirts could be worn any time, or saved for next Valentine’s Day. 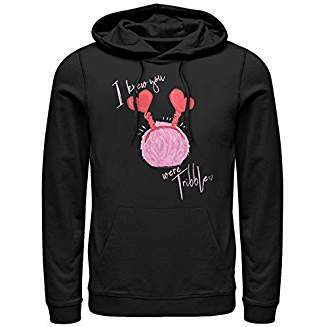 Click on the thumbnails to see full-sized images. 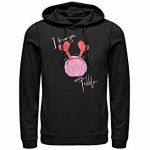 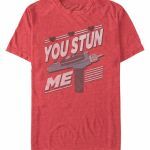 The I Knew You were Tribble shirt comes as a t-shirt for children and adults, as a men’s hoodie or as a junior/women’s racerback top. 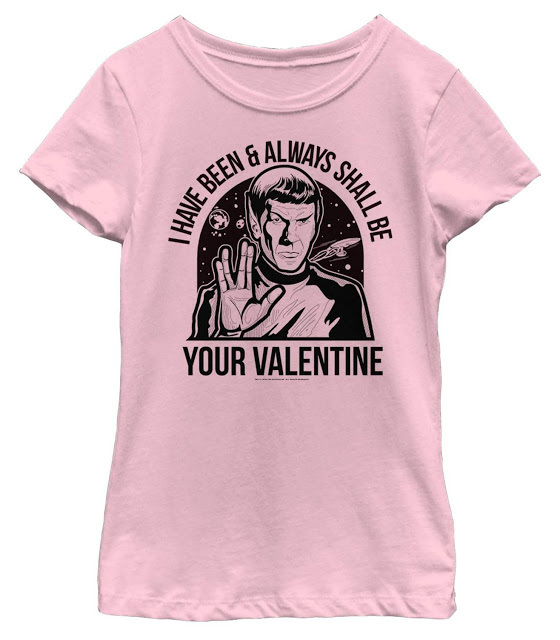 The shirt features a Tribble wearing red heart deely-boppers and with the I knew you were Tribble phrase. 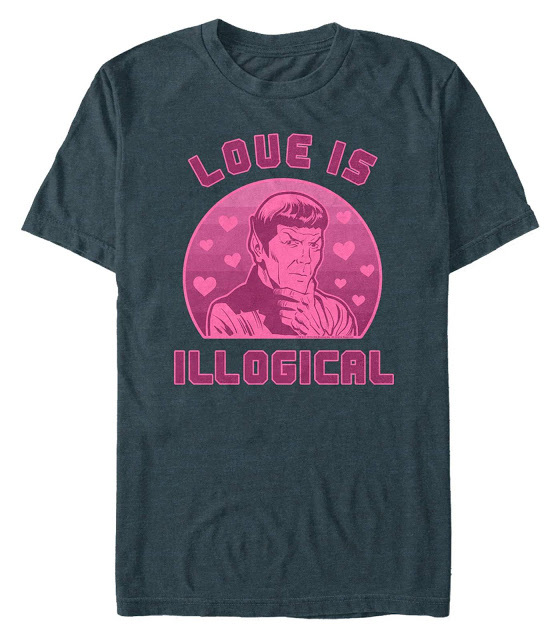 They come in white and black shirts and can be ordered here. 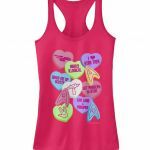 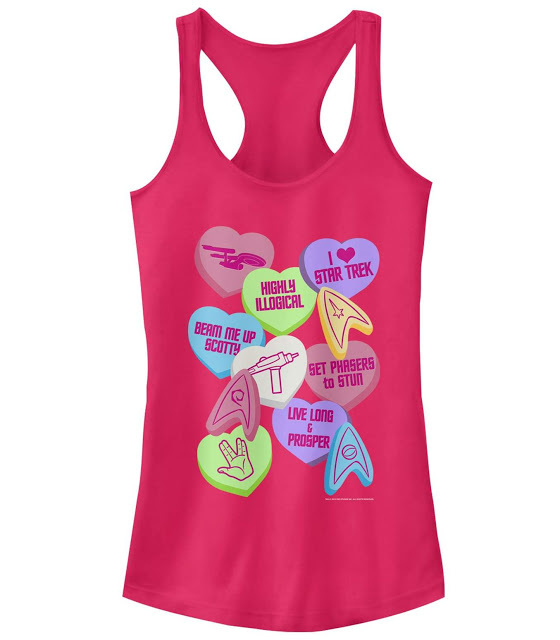 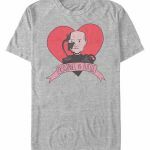 Other shirts, seen below, feature: love heart candies, a You Stun Me shirt with a phaser, Be My Valentine, two Resistance is Futile shirts, and Love is Illogical (Spock or Tuvok version). 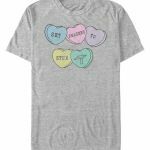 Order the love heart candies shirts here. 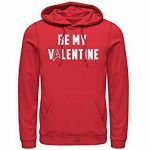 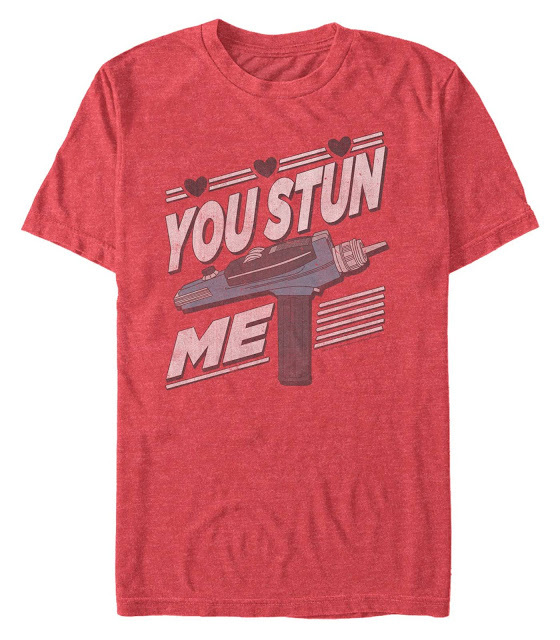 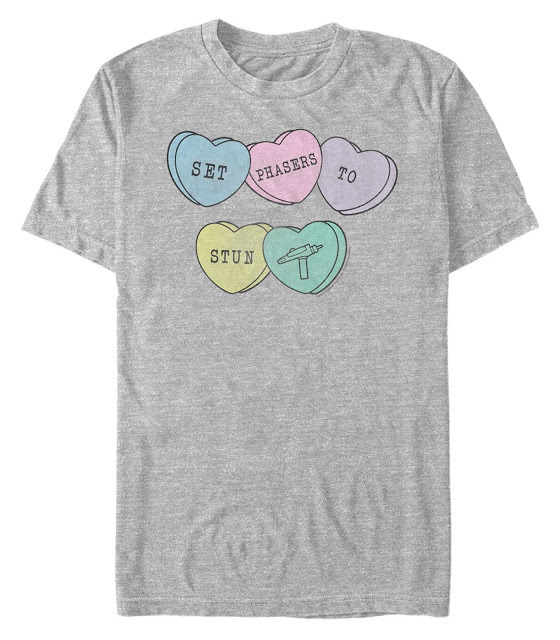 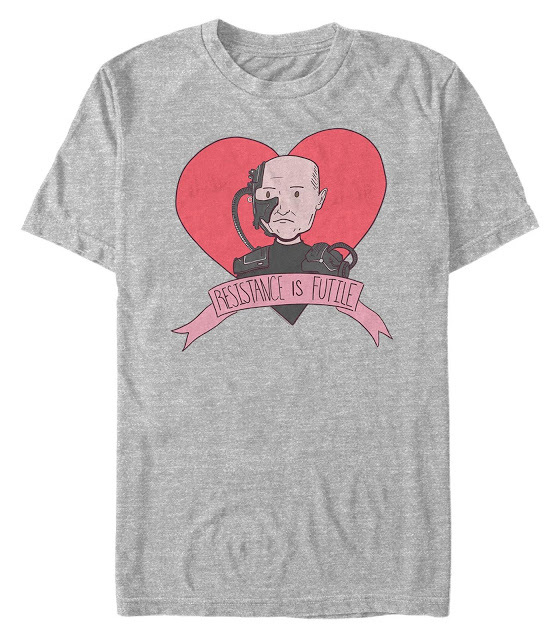 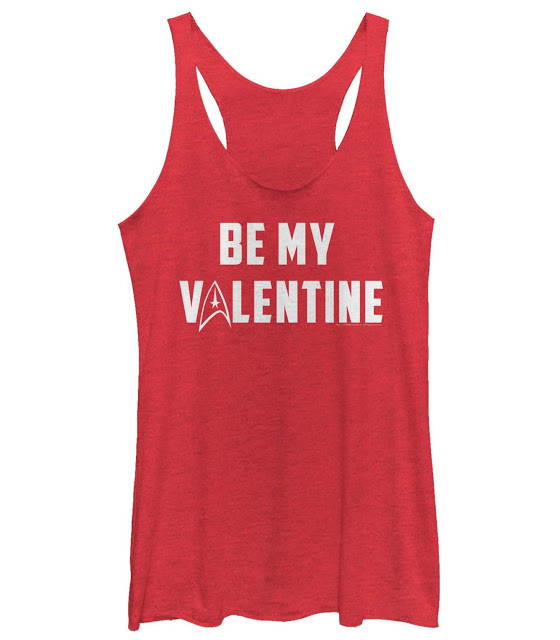 The You Stun Me shirt can be ordered here, and the Be My Valentine shirts are available here. 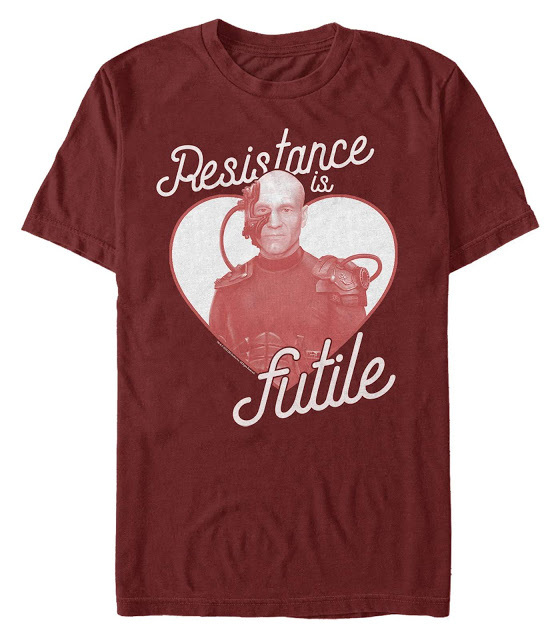 One of the Resistance is Futile shirts can be ordered here, and the other can be ordered here. 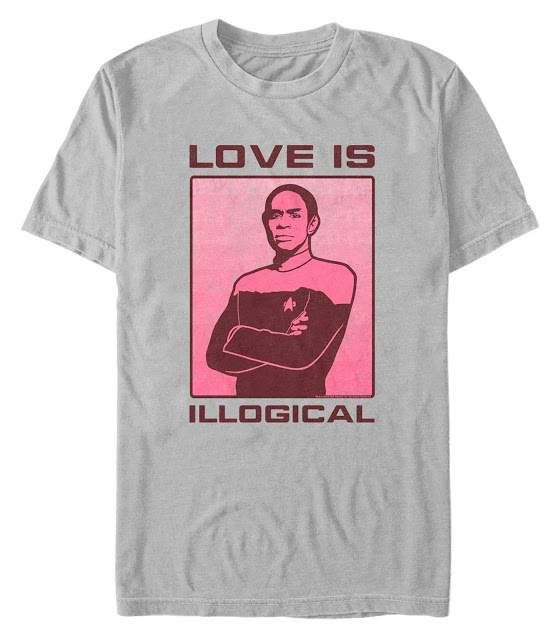 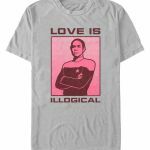 Finally, the two Love is Illogical shirts can be ordered here and here.